Though it has not always been a tradition here in the UK to embrace the whole Halloween idea, it has grown in popularity here year upon year. 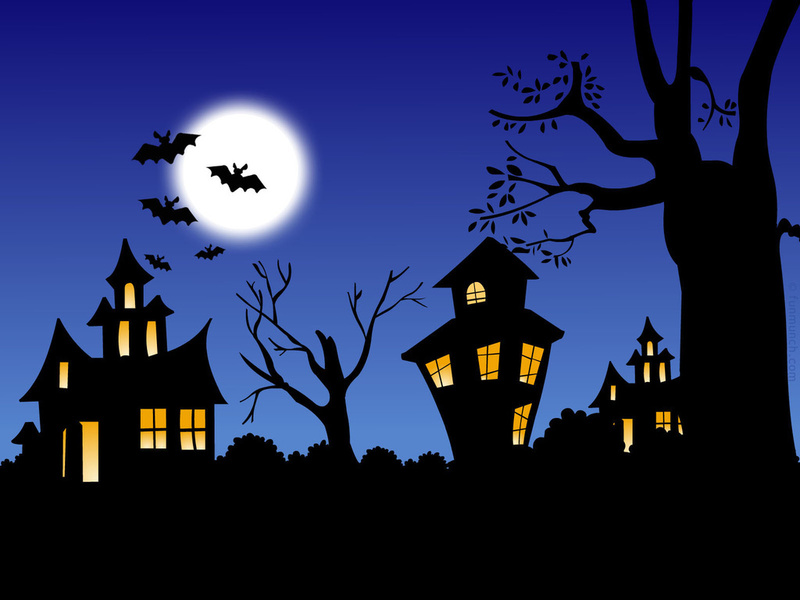 In Britain and other Christian nations the roots of Halloween probably lies in the fact that it falls on the eve of a major Catholic festival, All Saints Day. The fact that this time of year also sees the harvest when many a feast and celebration would take place means it could well be how Halloween came to be in the first place. Halloween has also long been associated with paganism and Celtic tradition. The Celts themselves believed that with the long dark winter nights came demons and so would build fires which they believed would ward off any evil spirits. children across the globe would look forward to. Once costumes have been decided upon the next thing to be done is choosing the pumpkin for the Jack O’Lantern. This was not always a pumpkin. The first lanterns were carved from turnips. I know from personal experience that the turnip is not the easiest of vegetables to take your knife to, so it's probably just as well they made the switch. Besides, the bright orange skin has definitely got a more harvest look about it. The tradition of dispensing sweets and treats comes from another Celtic belief that putting out food would appease any spirits that might be roaming about. Because Halloween is associated was Catholic saints, Protestant England began to commemorate a different event and declared the 5th of November to be Guy Fawkes night to mark the capture and execution of Guy Fawkes, the man who attempted to blow up parliament. Other on the other side of the world, in Mexico, the marking of All Saints Day is known as Day of the Dead where folks dress up like ghouls and parade through the streets. In Hong Kong we have Festival of the Hungry Ghosts where the lighting of fires and the offer of food and gifts takes place. Back here in the UK, the tradition of lighting bonfires came from the Druids who would light fires to ensure the sun would return after winter. The Druid priests would often throw cattle bones into the flames thus, it was a bone fire or bonfire. Lighting a bonfire seemed an appropriate way to represent Guy Fawkes’ foiled attempt to sabotaging our Houses of Parliament. So, here in Britain these days, children are lucky enough to have the opportunity to celebrate two different rituals. I wonder how many of them will still be tucking into their sweets when the first firework of Bonfire Night goes off? 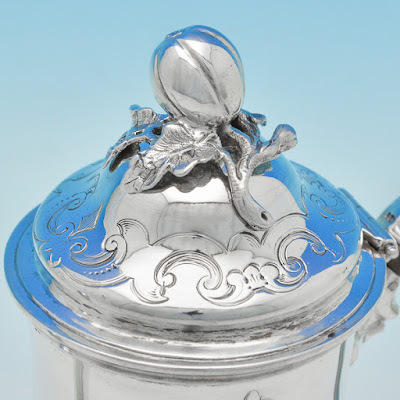 Detail of pumpkin finial atop an antique silver coffee pot. A pair of Victorian bon bon dishes. Perfect for treats, no tricks. All items available from our shop, or email us an enquiry.